Jack Conger joined Stirling Properties in January of 2016. He specializes in office and retail sales and leasing. Mr. Conger, a native of Dallas, Texas, graduated from the University of Alabama with a bachelor’s degree in Human Environmental Sciences. Prior to joining Stirling Properties, he was the General Manager in a family owned restaurant in San Antonio, Texas. Jack actively covers markets in Alabama and Northwest Florida. 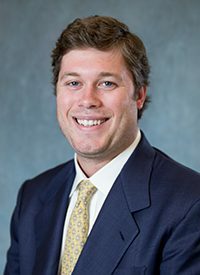 He is an active member of ICSC and serves as a member of the Three Mile Creek Advisory Council in Mobile. Mr. Conger resides in Mobile with his wife and two daughters.